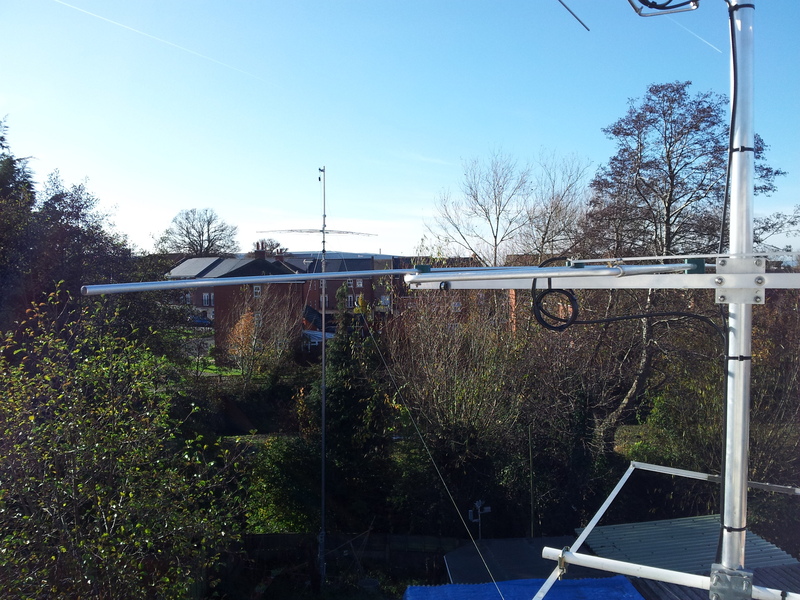 In October and November 2012 some more antenna work was carried out at M0PCB/M0GEJ to upgrade various components of the antenna system, namely coaxial cable and the rotator for the VHF antennas. 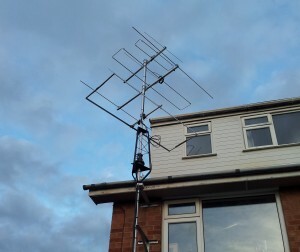 The 6m Moxon was moved from the top of the main HF support to the VHF stack and a new Inverted-L antenna for 160/80/40m was installed off the support across to the house. 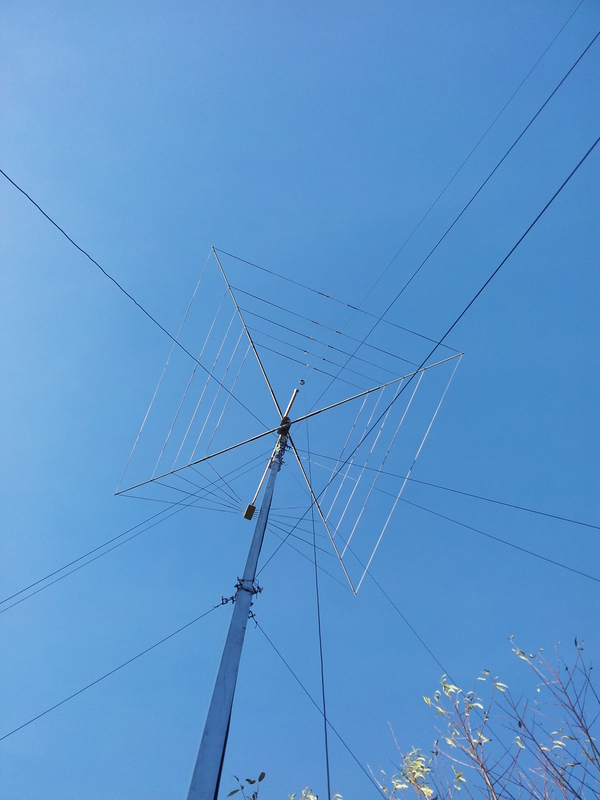 In mid 2013 the 80/40m dipole was replaced with a doublet fed with an MFJ-994BRT remote tuner, this provides coverage of 80m and 60m, as well as 40/30m, though the match isn’t great. 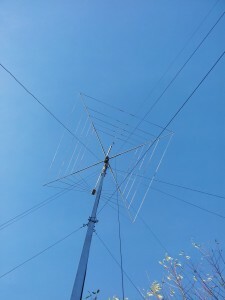 Subsequently a dedicated parallel dipole for 40m and 30m was installed in inverted-vee configuration from the mast. The inverted-L had to be fed up inside the Cobwebb while the support was luffed over, which has made fine adjustments a tedious process. 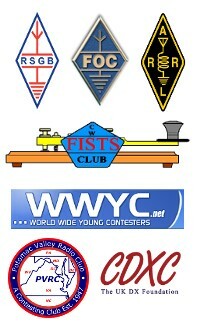 Initial indications on performance on 160m are good given its small size. The design was that of GM0ONX as published in Practical Wireless. Google will find his articles. This is a view from the base of the mast showing the Cobwebb, Inverted-L and the two dipoles, one for 30m and the other for 80/40m. 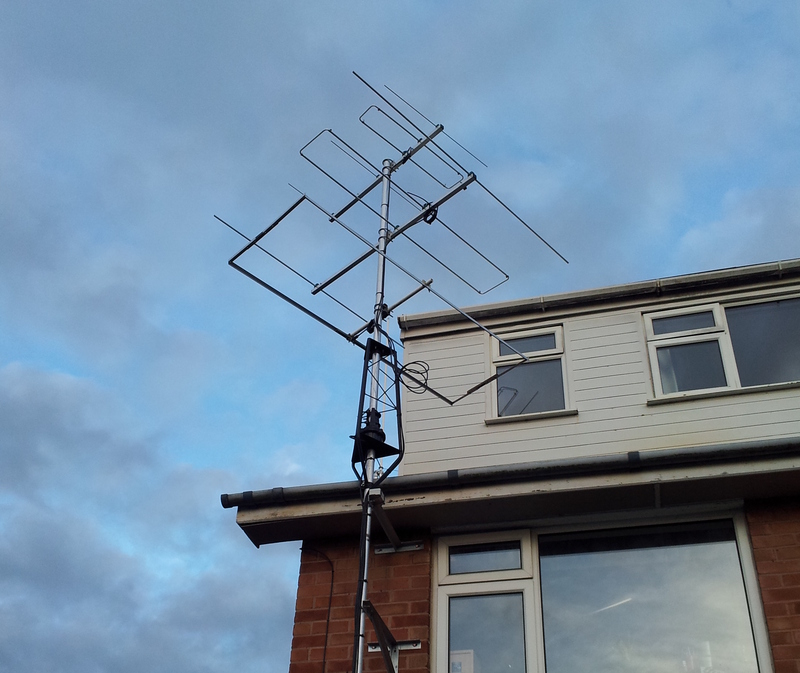 The VHF stack has been upgraded with a new rotator and cage, new coaxial cable and the 6m Moxon is now with the 4m and 2m beams. The 2m beam is now a few feet higher than it was to accommodate the extra beam. This is the view from the top of the house. The 4m beam is at eye level when stood in the loft conversion, 6m below and 2m above. Can also see the inverted-L as it slopes down towards the rotator cage from the top of the mast.